Get your Walls and Ceilings looking Brand new with a wall and ceiling wash! Dirt, Debris and cost of living in a home can often result in stained walls. We spend so much time and money, carefully planning and colour coding our walls, yet in a few years time we often have to re-paint them again. Instead of spending the big bucks on re-painting your walls, get a wall and ceiling wash and make it look brand new! We first dust your walls and ceilings to get the dry dust out of it. Then your walls and ceilings are sprayed with a mild detergent or sugar soap. The walls are then either hand cleaned or we use a 'squeegee' to remove accumulated dirt and grime. While cleaning your walls and Ceilings, we will also remove any surface mould. If you want us to bleach certain areas of the ceilings then we care happy to do that too. 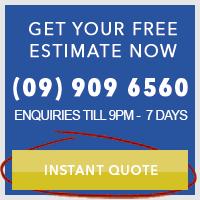 Call us today for on (09) 909 6560 for a free quote today! Or simply fill in the form on the left and we will get back to you within the same working day.